Sonus faber always found its inspiration in the highest Italian culture. With Sonetto, the history of Italian literature is used as inspiration for the new collection. The word ‘sonetto’ or ‘sonnet’ in English, originally meant ‘sound’ or ‘melody,’ and was traditionally used to accompany musical performances. 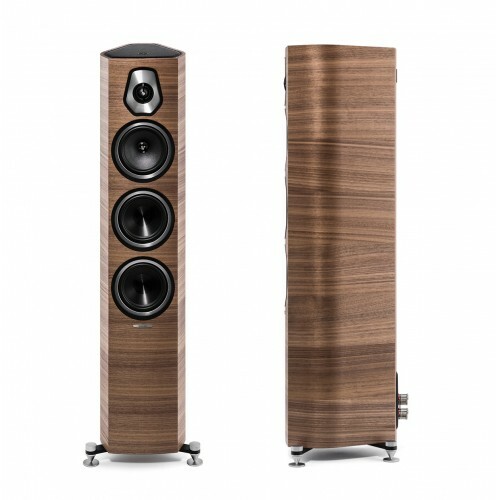 Sonus faber’s new Sonetto collection seeks to marry these traditional forms of sound and poetry within the framework of their acclaimed speaker design. The entire collection is true Sonus faber – featuring all the iconic elements of the brand: natural sound, natural materials, the Lute shape, the artisan finishes typical of Italian craftsmanship, and manufacturing done completely in the Sonus faber factory in Vicenza. Despite its slim dimensions, Sonetto III has the commanding presence of a much larger speaker, thanks to advanced technologies and design solutions. 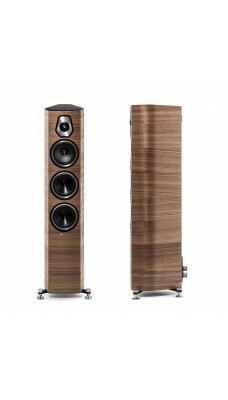 Sonetto III completes the floorstanding loudspeakers range of the collection. SYSTEM: 3-way floorstanding loudspeaker system. Vented box design.